Algebra takes the idea of a club, a universe of the like-minded, and expands it to new paradigms. Algebra the Arts and Ideas Club is designed to host over 60 conversations over the year with top-line thinkers and practitioners from almost every discipline that impacts human affairs: politics, economy, environment, spirituality, cinema, medicine, science, technology, music, media, literature, the arts, sports, peoples movements, et al. 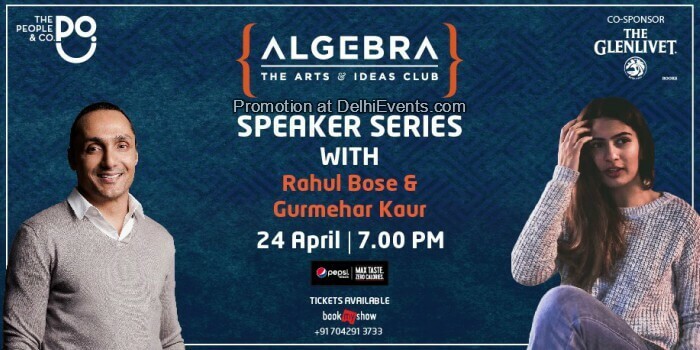 In a line, Algebra is a space where one can meet an exciting, cutting-edge spectrum of people shaping the world in different ways. Where one can test one's ideas, challenge ones perspectives, and build friendships. A sort of fellowship of the curious and engaged.